The series between the New York Titans and the Boston Night Riders was not billed as one of the early season’s high-profile tilts. 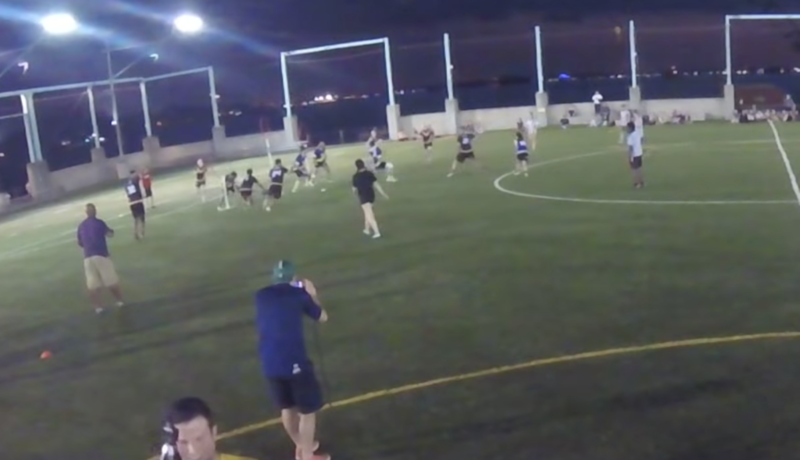 Though the rivalry between the two goes back to the league’s inaugural season–when the Night Riders took two snitch-range games in the league final to complete an undefeated season and take home the Benepe Cup–the matchup has been rather one sided. 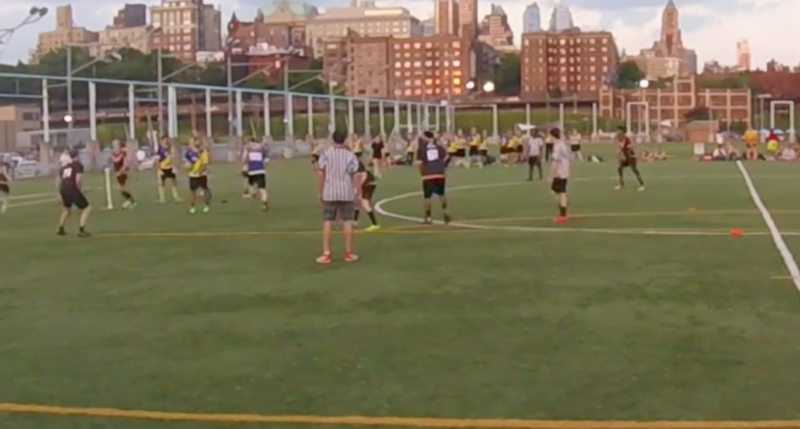 New York, and the rest of the East division for that matter, had failed to keep Boston in snitch range in all previous regular season series, and the Night Riders entered the series on a 28-game winning streak that has stretched the entire length of Major League Quidditch. But despite the ominous signs of a one-sided affair, the series–played on New York soil for the first time–was compelling from start to finish. In game one, a slow start by the Night Riders opened the door for a close match, but a lack of production offensively from the Titans allowed Boston to get just out of range and hold the margin to at least 40 points throughout. In game two, a dominant mid-game performance by Max Havlin and the hot shooting hand of Teddy Costa led to a rapid succession of goals that quickly put the game away. With so much intrigue around the match, let’s take a deep dive into exactly how we got to a 120*-90 scoreline. The elephant in the room for the majority of this series was the injury of Boston keeper Tyler Trudeau, who sustained a concussion early in game one and did not return. Trudeau, my preseason pick for East Division MVP, is invaluable to the Night Riders in many ways, but perhaps none more so in his ability to create offensive efficiency. Playing with Harry Greenhouse and Julia Baer for going on three seasons, he is the workhorse of the line’s offensive sets, whether he is lofting a pass over the hoops to a waiting Baer, or running a pick-and-roll with Greenhouse. Before bowing out of game one with the injury, he had already quietly racked up two assists. For a workhorse whose greatest skill is doing the little things, it is often easiest to realize Trudeau’s value when he is gone. The gaping void he leaves is even clearer on a team like Boston, who runs strictly two lines–with an exact composition, from chaser to beater to keeper–in competitive games. In game two, the Night Riders tried a straight swap of third string keeper Dyllon Carlson for Trudeau into the second line, with disappointing results. On Carlson’s first offensive possession, he mishandled a field-switching pass from Greenhouse that lead to a New York transition goal. On his second, Greenhouse ran the offense exclusively through himself and Baer and was stood up on a drive to the hoops by Shawn Hazlett, with Carlson well behind the play. Hazlett scored on the ensuing possession and–while Greenhouse would answer with an unassisted goal of his own on Carlson’s third offensive possession–Boston immediately subbed Jayke Archibald back in, fearful of the quick 20-0 run that had briefly cut the lead to 40. With Trudeau still out for game three, the Night Riders further planned to cut into their stringent lines. Archibald played the lion’s share of the minutes at keeper and Costa stayed in past the first line’s substitution, a series of moves that brought Boston even further out of its comfort zone. With the second line in disarray due to the Trudeau injury, Boston entered game three needing a dominant performance from the first line. The first line delivered just that in game two, with the score standing at 70-10 by the time Archibald subbed out, thanks to a combination of mid-range shots from Costa, a couple of transition goals from Archibald and a few catch-and-releases from Grace Dastous. Costa finished game two with a monstrous line, going 4-of-6 from the field and adding three assists on top of that. So what went wrong in game three? To fully understand that, it is important to break down exactly what the line’s offensive gameplan was set up to accomplish. In the half-court offense, the offensive hinges on getting Costa in the lane unmarked. This can be accomplished by an off-ball screen by Dastous on the chaser covering Costa or an on-ball screen by Archibald if Costa is ballhandling. This screen frees up Costa, who either drives if he already has the ball, or moves towards half to receive the ball from Archibald before turning and diving into the open lane. Meanwhile, Dastous rolls off the screen towards the nearest hoop, positioning herself either in front of or behind it to serve as a passing option. Now in the lane, Costa has the options of driving, passing or shooting as the situation dictates. The first limiting factor in this offense is that Archibald’s chance to score is all but eliminated from the offensive set. His job is either to lay the ball off to Costa or set a screen for Costa, but after that he is more or less a spectator. While Archibald remains one of the most dangerous players in the transition in the sport–and kept his team alive in game three with four goals–his scoring potential has been neutered in the half-court offense. The second limiting factor is Bryan Mulcahy, who has replaced an absent Sam Nielsen as the second male chaser on the line after a breakout season for Q.C. Boston. Mulcahy has always been a defense first player, and while his offensive skills took a massive leap in the last year, his inability to create for himself off-ball rendered him invisible for much of the series. While Nielsen had incredible chemistry with Costa from their years together at RPI and a penchant for cutting into dangerous spots at the exact right time, Mulcahy spent more time flat-footed out on the wing. Despite extensive playtime, he finished the entire series with just two shots, one assist and two turnovers, a total of five possessions that ended without a relevant contribution from the first line’s wing chaser. But perhaps the most limiting factor to the offensive set was the disappearance of Costa’s primary second option: a pass to Dastous. In game one of the series, Dastous was struggling to get enough separation to receive a pass with time to act. When she was in front of the hoops, she was either too quickly beat or swallowed up by a tackle. If she was behind the hoops, Archibald and Costa were struggling to get her a clean pass. She ended that game with a line of four turnovers and no shots. While she improved on that performance with four goals in game two, those were mainly in transition and she still added a blocked shot and two turnovers in the half court. Costa gets into the lane unmarked, but misses the shot. 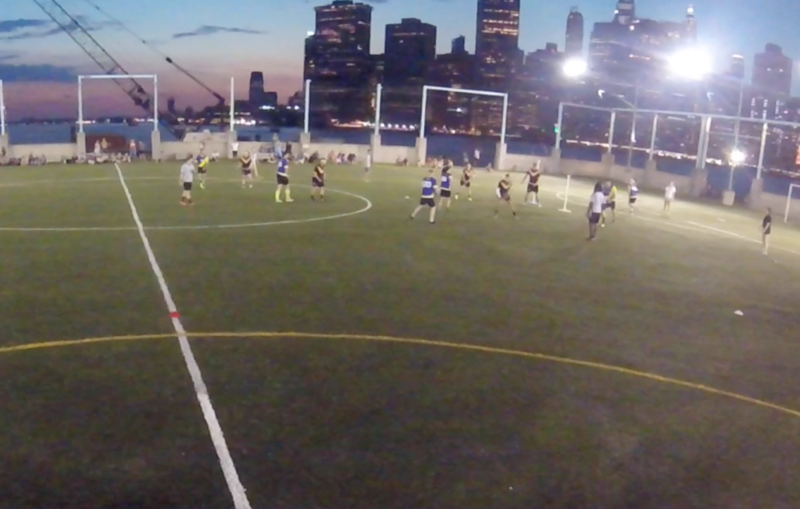 New York switches on the on-ball screen from Archibald and Taylor Crawford forces Costa outside. Struggling, Costa passes back to Mulcahy and Titans intercept. Costa gets into the land unmarked, but the shot is blocked. When Greenhouse subbed in for Mulcahy, the offense got even less fluid. The team fielded three ball carriers–Greenhouse, Archibald and Costa–at the same time, leaving Costa flat-footed in the lane and both Greenhouse and Archibald well behind the play, with a beater rapidly approaching. Costa lofted one in the general direction of Dastous, but the ball ended up easily in the keeper’s hands. Boston did manage to work out some of these issues as the game went on–Archibald started to score in transition and Baer set up further from the hoops than Dastous had been, giving her time to receive a pass and make a play–but the damage was already done. With this impotent offensive start, the Night Riders opened the door to an early New York lead and a competitive game throughout. With Boston’s first line stymied and the game still close, the next job for New York was to prevent the type of goal runs Havlin’s beating can create on a regular basis. This job fell to the two-male beater set of Mike Madonna and Devin Lee, a pair of Mid-Atlantic beaters who have both given Havlin trouble in the past. Throughout the series, Rachel Ayella-Silver was the only non-male beater to see significant minutes for the Titans, a result of a roster that lacks options at the position. After two games in which the team often struggled with her on the field–they were -80 with her in the game entering the final matchup–coach Michael “Yada” Parada chose to rely almost exclusively on two-male set in game three. Of the five male beaters New York implied over the course of the series, the combo that celebrated the most success was that of Madonna and Lee. In a brief stint together in game two, they created two no-bludger situations against Havlin and Lulu Xu and a quick 20-0 run which went largely unnoticed due to the margin at the time. Despite the Titans being outscored by 150 quaffle points across games one and two, they were even in quaffle points when Lee was on the field. The general theme of Lee and Madonna’s beating strategy against Havlin seemed to be to use his propensity for overextension against him. In game two, for example, Boston had bludger control, when Havlin misses a beat on a bludger-possessing Madonna that was at the time moving back toward his hoops and not even making a play for control. As Madonna throws his bludger back towards the hoops and collects Havlin’s miss, Havlin commits to a foot race with Lee to retain bludger control. While Havlin gets there first, Lee contests enough to take him fully out of the play, while Madonna, instead of securing bludger control by following Havlin, turns directly on Xu and forces a no-bludger situation with a beat that leads to a goal. A similar situation occurs in game three with Madonna in the penalty box with a foul. After New York secures a defensive stop on a Boston offensive miscue, they look to set-up an offense with just one beater. As Havlin overextends to beat out Fox on the left wing so far up that he is in the Titans’ zone, Lee and the quaffle move to the right side of the Boston zone. This gives Havlin exactly one path back into the play, which Lee is ready for. He positions himself ideally and wins an exchange with the now predictable Havlin, who has to make a play quickly due to being behind the quaffle. Lee then beats out Xu and creates a no-bludger situation, and a goal, with just one bludger. With bludger control, Madonna and Lee were also relying on their athleticism to make things as difficult for Havlin as possible. Spreading themselves out to opposite flanks, they made it impossible for Xu, without a bludger, to protect Havlin from both of them. As Havlin sank deeper into the defense, prepared to tap right back in after a beat, one of the two would pounce, delivering the initial beat and springing the offense into action. 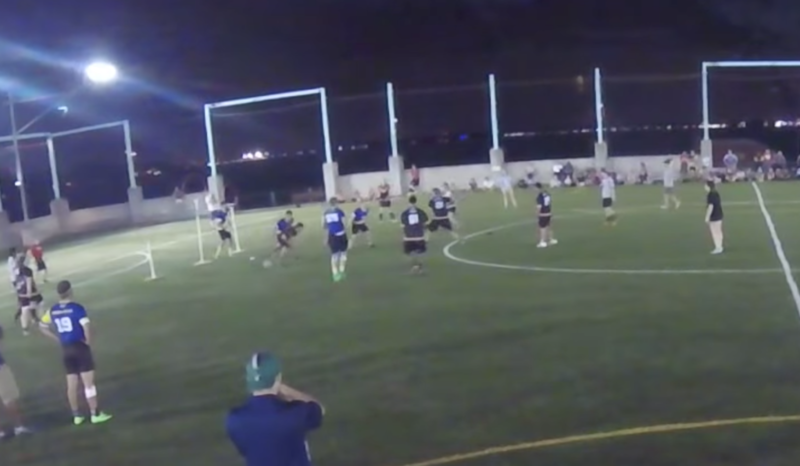 While that would be the end of the beater play in most cases, New York was instead using a second beat, this one coming from the other flank, to take Havlin out of the play for the extra one or two seconds that would lead to a goal. Using this exact tactic, the Titans created two goals in this one shift for Madonna and Lee. Overall, Madonna and Lee vs. Havlin and Xu in game three resulted in a 40-30 advantage for the Titans despite a beater foul, and guaranteed that Boston would not be able to turn around a slow start in the way they had in game one. With Havlin neutralized, it was going to take something truly special both offensively and defensively for the Night Riders to get out-of-range. Throughout the series, the Titans struggled to create scoring opportunities, due in large part to the lack of options they could force the Night Riders to respect. Amongst its ballhandlers, New York has few that have a strong mid-range shot. Pablo Calderon-Santiago, Fox and Dom Bailey–who all found themselves in possession of the quaffle at the top of the offensive zone with decent regularity–are all always looking first to drive to the hoop. Add Archibald–one of the sport’s best shot blockers–as the opposing keeper and that mid-range shot looks even less appealing. Without the fear of such a shot, Boston could sit its beaters deeper and not have to overcommit to a tap beat on the point defender with a chaser switch, as the risk of a shooter in the lane was negligible. This led to multiple situations during the series where the Night Riders were compact to an extreme extent, with New York still not pulling the trigger. Here, CJ Junior has forced Havlin and Xu back to their hoops and beaten the point defender, but Bailey still chooses not to drive into the lane and take a shot. Down the stretch in game three–with an in-range game looking more and more likely–Hazlett flipped this scenario on its head, hitting two mid-range shots in short order that all but sealed a snitch-range game from almost the same range the Titans spent much of the series turning down shots. Had the Night Riders extended their defense more, neither shot would have been possible. But by finally taking what Boston was giving him, Hazlett cashed in on a pair of high percentage opportunities. Bringing it all together, there likely isn’t a true script to be followed here based on the results of this one game. It required the injury of Trudeau, a cold hand from Costa and some questionable line changes to even keep the game in-range, and once the snitch arrived the Boston beaters still dominated, with Greenhouse getting the most time with the snitch before making his grab. On the other hand, some takeaways could be vital as we move deeper into the season. This is not the first time Havlin has struggled against a talented and athletic beater pair that can keep him more honest in his positioning, and New York is not the only team that can throw a combination like that at him. And the Boston first line will need to increase the options its offense can generate, or risk teams that focus their attention on Costa and Archibald and force Mulcahy or Dastous to beat them. Maybe Boston is a little more vulnerable than they appeared at the beginning of the season, or maybe New York is a little more talented, or maybe this is all purely the result of the Trudeau injury. 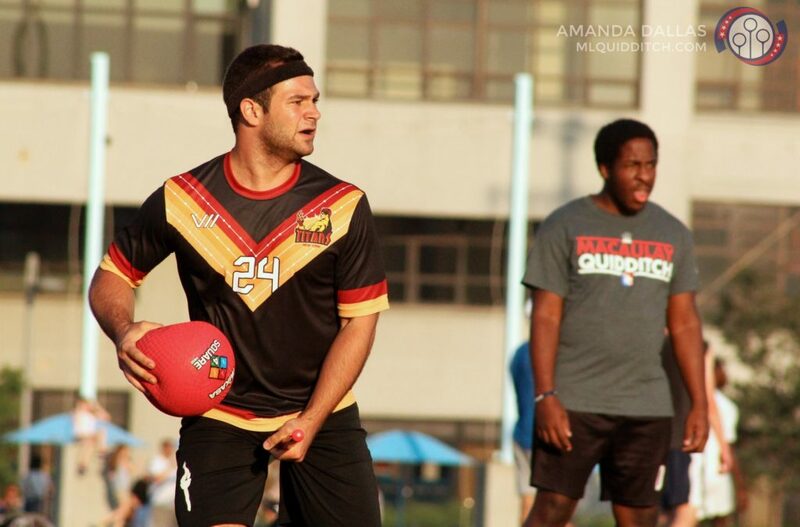 But, if nothing else, this game should guarantee us an interesting season of quidditch in the upper echelons of MLQ.